Ultimate robot Kit 10 in 1. 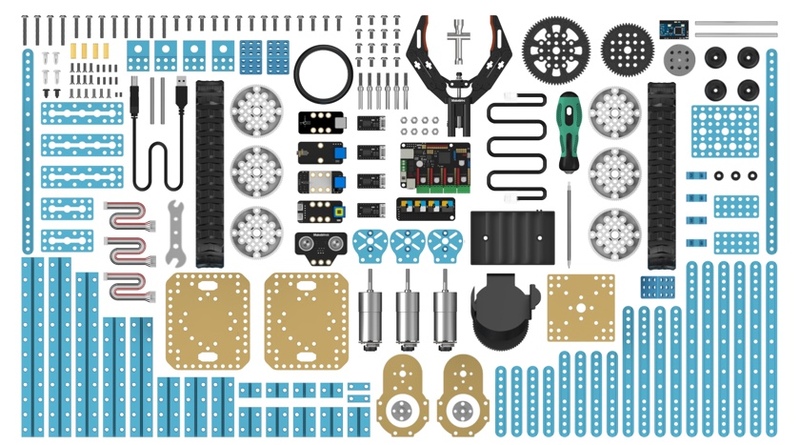 What is Ultimate Robot Kit? 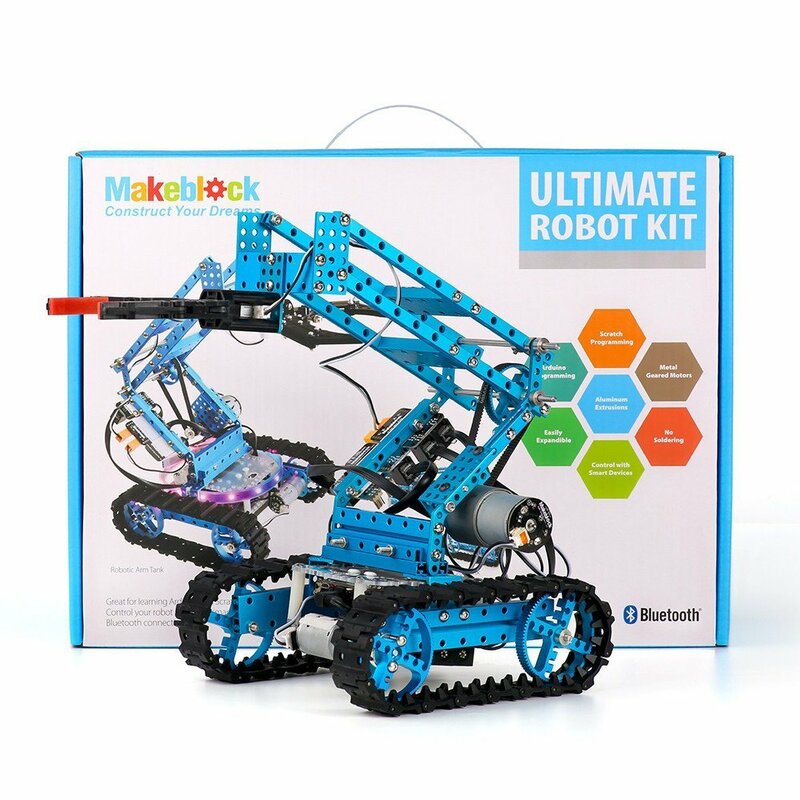 Ultimate is a ﬂagship robot kit based on Makeblock platform with rich features and strong compatibility. Whether you are an enthusiast of Raspberry Pi or Arduino, a mechanical or electronics engineer, a teacher, or a student, it helps you learn the knowledge of mechanical structures, electronic modules and programming skill with ease. Release your imagination with over 160+ metal parts and 80+ types of electronic modules including our all new powerful MegaPi main controller, 3 encoder motors, 1 robotic arm, 4 DC motors, 3 sensors and 1 Bluetooth module. It also comes with a shutter and phone stand for easy photo taking. From now on, you will have your own parts library. 10 Building Examples Inspiring Unlimited Personal Creative Inventions! Ultimate 2.0 comes packed with a punch. The kit comes with assembly guides for 10 different designs that serve as launch points for your own creations. Alter the designs to suit your own ideas, or make your own design entirely from Scratch!